have prayed over the past few days for the precious nine year old, little girl who has a mass in her stomach. as my dear sister, Sharon, (her grandmother), had just undergone major surgery and was suffering from complications, and we did not want to alarm or worry her or add to her physical distress. 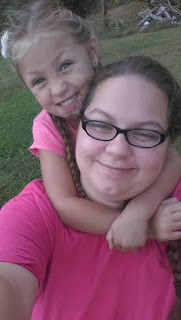 Now, that we have GREAT news, I will tell you that the little girl is none other than the one I have referred to here on the blog as "Little Miss", my niece, Kim's daughter, Kyla. You may remember this sweet picture I shared with you here in 2012. Two people SO dear to my heart, my precious Mother and sweet "Little Miss" Kyla. This picture was taken three weeks (to the day) before Jesus called my dear Mom home to Heaven. The doctors have determined that the mass in Kyla's stomach is BENIGN. PRAISE GOD for this wonderful news!! I have to believe that dear Mom is watching over us all, and the many prayers she prayed for all of us for so many years are still being answered. Kyla does have an epigastric hernia, and she has to have surgery on July 28th. We would surely appreciate your continued prayers that all will go well with her during the operation. We cannot thank you enough for your faithfulness to pray. We realize the outcome could have been very different, and we have no words to express how grateful we are for God's mercy! after the tragic and sudden death of her 26 year-old sister-in-law, Megan. 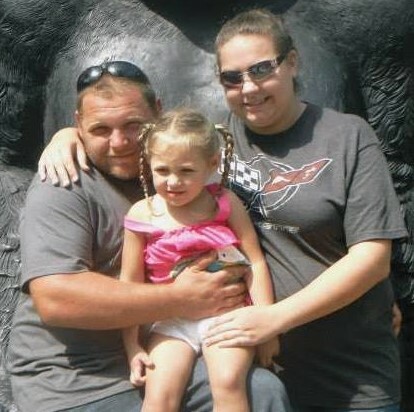 Megan died in a car wreck on her way home from work last week and left behind a husband, Josh, and a precious seven-year old, daughter, Sierra. My heart just breaks as Priscilla tells me how little Sierra goes in and lays out her Daddy's clothes for him, and how she is so concerned with the grief of other family members. She is truly a precious, loving, little girl, who now has no mother to love and care for her. Dear friends, PLEASE continue to lift up this dear family in prayer. Megan did not have life insurance, and the family is left with a lot of expenses that must be paid. Many of you will remember THE BROWN FAMILY and how prayer requests and updates concerning them and their tragic August 2014 car accident were the main focus of Homespun Devotions for such a long time. The same dear friend, Priscilla, who just lost her sister-in-law, Megan, is the same person who personally knows the Brown family and who originally notified me of their need for prayer. Priscilla is one the dearest and truest friends a person could ever have. She is one of the most faithful, dedicated, intercessory prayer warriors I know. She not only prays for us and others, but I happen to know that she often gives up her daily food and adds fasting to her prayers, never seeing anything she does as a sacrifice or wanting any attention drawn to it. often calling her to encourage and lift her spirits during times of pain, abandonment, and despair. She is one of the few people you can call or email anytime, day or night, and you know, without a doubt, you will find someone on the other end of the computer or phone who will drop everything and fall to their knees. Through all of life's ups, downs, sorrows, and joys, Priscilla is there, she is a treasure, and friends like her are precious and few. 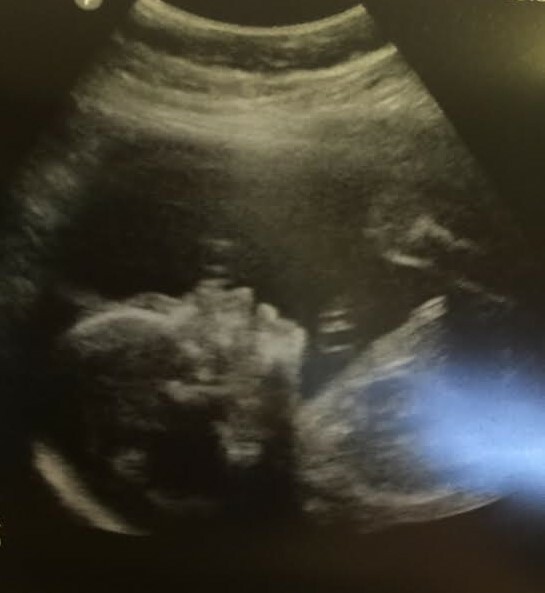 and her precious unborn baby boy, as the day approaches when they will do a C-section on July 5th. and allow both of them to be alive, healthy, and all to be well, in spite of all. We ask that you will please continue to pray that God will not allow Kristen to go into labor before July 5th, due to the risk of giving birth while on the blood thinner. telling you how God has answered the many, many prayers you have prayed for so long!! Jesus said, "According to your faith be it unto you." and they will both have a HUGE testimony to share for many years to come! and I feel that she is watching over us all. and it makes me want to be ever more diligent to pray over and for our own precious son. Kelly-Anne and her family are facing. They lost their home and everything in it on June 7th. It is just heart wrenching to see the devastating pictures and read of the pain and loss in Kelly-Anne's latest blog post HERE. that would accommodate her and her family's needs, along with their beloved pets. Surely, we know God sees all they have suffered and lost, and He has promised to supply their needs. able to get out in time, and that none of them were harmed. Eight people died in the fires that swept around their home, including their little 3 year old neighbor whom Kelly-Anne and her family used to babysit. Oh, it is so sad! May God have mercy and open the right home for Kelly-Anne and her family in the aftermath of all they have gone through and lost. What would we do without Jesus? To whom would we turn in such times of need and grief and loss? I am so thankful for the precious Word of God and the comfort it provides. along with a song that has encouraged and sustained me through recent trials. "Can a woman forget her sucking child, that she should not have compassion on the son of her womb? yea, they may forget, yet will I not forget thee. Behold, I have graven thee upon the palms of my hands..."
"He that hath clean hands, and a pure heart; who hath not lifted up his soul unto vanity, nor sworn deceitfully. He shall receive the blessing from the LORD, and righteousness from the God of his salvation." singing of birds is come..."
"And of His fullness have all we received, and grace for grace." "In the day when I cried Thou answered me, and strengthened me with strength in my soul." God bless you and meet any needs you have, my friends. I love and appreciate each one of you so very much! Praying for all you mention here as well as for you and your family. 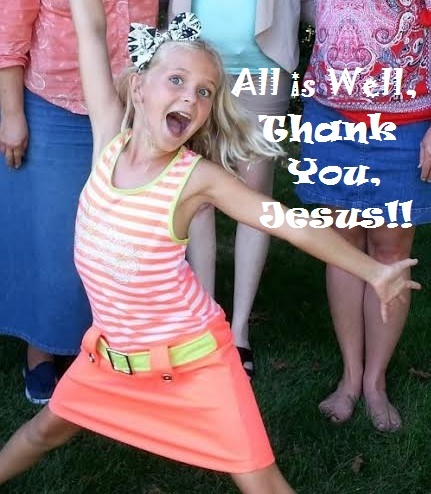 THank you Dear Jesus that Kayla is ok.. What an adorable little girl.. God is good..
Praying for each of these prayer request and all the hurt that is going on. Praying for Kristen, baby and family.. July 5th will be marked on my calendar.. special prayers for sure..
hugs and thank you for letting us know about these prayer request. Yes, amen, and amen, sweet friend! Thank you ever so much for remembering July 5th...oh, it truly means the world to us. God bless you, and sending hugs back to you!! Good morning Cheryl. What a great answer to prayer for Kyla. I will be praying for a successful surgery next week. I have been praying for Megan's family and will continue and will add Kelly-Anne and her little neighbors families. Also and always for dear Kristen and her little baby. What a world we live in. Fallen and so full of trials but our dear Lord Jesus is there if we just turn to Him. Thank you dear Cheryl for allowing me the privilege to pray for these that are near and dear to your heart. YES, praise God for answering prayer for little Kyla! And, dear friend, you will never know how much I appreciate you and your faithfulness and support. You are such a blessing to me. Sending love and hugs your way and hoping your pain is letting up and you are feeling better. Praying often for you. Yes, my friend, you are so right. I am so grateful for your prayers, support, and encouragement! May the dear Lord bless you, too. :) Sending love and hugs to you. Great news for your niece! What a relief. I'm praying for Josh and Sierra, Kristen and her baby, and Kelly-Anne. Blessings to you and your ministry. I'm grateful for the hearts of you and your friend Priscilla. Oh, it surely was a relief...oh, my, you just don't know. Thank you SO much for your constant prayers and encouragement, brother. You are such a blessing to my family and me. God bless you, in return. Thank you for letting us know about Kyla, Cheryl. Prayers will continue for so many that need our faithful prayers. So much heartache and pain, yet God is good. I will be praying. Oh so much to pray for! And to rejoice for too! Thank you Lord for touching Kyla, and that she does not have anything serious! And that your sister is doing better too, thank you Lord! Will continue to lift up the family who lost their mother, and Kristen and baby too! Our Lord is so able to carry us through these difficult times, what would we do without Him! I loved your arsenal of scriptures that you posted, and feel that the Lord surely has equipped us with HIS word for such times as these. We can hang onto these promises, stand on them, and believe them. He is faithful. Hugs, love and prayers! Thank you so very much, sweet friend. Your prayers and friendship are precious gifts to me. God bless you and meet any needs you have. Hugs, love, and prayers back to you! I'm reminded of that psalm that says, "If it hadn't been for the Lord . . ."
Your life is so full right now -- or I should say your heart is so full, because you have opened it to the needs of so many. Thanks for sharing here, and let's continue to pray for a July 5th miracle! Thank you ever so much, dear Michele! YES, I love the way you worded that! Let's continue to pray for a July 5th miracle! It is ever upon my heart. I will never be able to thank you enough for helping to carry this burden. God bless you, sweet friend! Dear Cheryl, Oh these stories are just so heartbreaking, but we know our Heavenly Father holds everything together and will redeem all of this pain. I prayed specifically for all of these requests believing that the God of all Comfort and the Prince of Peace will make His presence known in a profound way in all of these situations. I also lifted up Kristen and her baby during our congregational prayer at church. They asked me to make sure I told you that your brothers and sisters at First Baptist will be praying for your dear niece, her precious baby and the whole situation. Thank you for being such a prayer warrior by bringing these prayer requests forward. You are such a blessing to all whom you touch. I especially am so blessed to call you friend. Oh, my heart was SO touched and moved when I read your comment...to know you are praying and standing behind us just means the world to me. And, your dear church! PLEASE, please tell them how very much this means to us! Oh, I wish I could just tell them in person and give all you a big hug, but I trust Jesus to let you know how very deeply we appreciate the constant love and support and encouragement and blessing you are to me and my family. Sending much love and gratitude to you this morning, my dear, faithful friend. Rejoicing over the good news and continuing to pray for the others. Thank you ever so much, my friend. I have had you heavy upon my heart and been lifting you in prayer. Sending love and hugs to you and much gratitude for your prayers! I don't know how people make it at all without the Lord. I want to tell you I have seen lots of prayers answered and even near death turn arounds. I pray for Kyla's hernia surgery is totally successful, I ask the Lord to be with Kristen and command tachycardia to go in His name, blood clot go in His name, let that water break and that baby boy come quickly before the 4th of July, fill him with your Spirit from birth. I speak comfort to those grieving loss, for beauty to come from ashes, for Sierra to find His peace about her mother's death and just the right person to be a role model and stand in the gap. And for the God of restoration to restore Kelly Anne home and possessions and all the enemy has stolen. Peace to the family of the 3 yr old killed also. You may want to try cold wash clothes on Kristen's face to help lower BP and heart rate. Or a cool pillow to lie on. If necessary, have someone count her heart rate down in Jesus name, like 85,84, 83. I bind any fear and panic in His name also. Isaiah 53 covers all. Dear Rebecca! Bless your dear heart! It was so nice to "meet" you this morning and to read such an uplifting, encouraging comment! I can't thank you enough for taking the time to pour out your heart here and to pray for all of these burdens and requests! May the dear Lord bless you richly for being such an encouragement to me this morning...you have lifted my spirits and inspired my faith! God bless you abundantly!!! Update on Kristen - PLEASE PRAY! !